Doggy GOO Your Best (Only?) Viable Allergy Treatment Option. 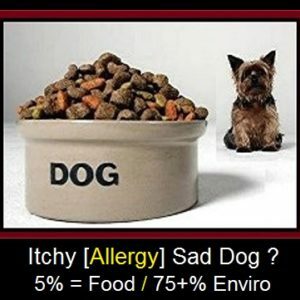 75+% of our Itchy Allergy Dogs suffer from Allergy to Enviro Sources Vs Food Allergy of 5%. Classic Symptoms of Allergy to Enviro Pollens, Dust Mites & Molds. due to ReOccuring / Exacerbating Symptoms and Health Issues. Requiring “Future” Multi Time & $$ Trips to DVM to Treat Symptoms. Quite often, Home Remedies are the First Choice for Pet Parents with Itchy Allergy Sad Dogs. Not only because of their “Anecdotal Success Stories”, but because they are readily Available and Inexpensive. Quercetin, Nettle Leaf, Zinc Cream or Grape Seed Oil to Itchy Area. they are not Medically Based and ( most Importantly) do not Target / Fight the Source of Allergy i.e. the Animal’s Immune System. Source of Allergy Disease i.e. the Animal’s Mis-Wired Immune System. as well as Home Remedies “may” provide Temporary Relief. they Do Not Target / Fight the “Source” of Allergy Disease. Resulting in Ever-Increasing Allergy Symptoms & Multi Time & $$ Trips to DVM. 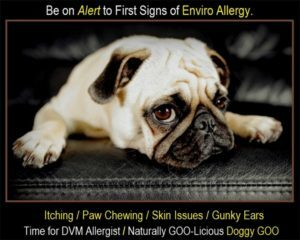 Far too often, Pet Parents move their Itchy Allergy Dogs to New / Exotic Diets with the Belief that their Animal’s Itching / Allergy Issues are “Food Allergy Driven”. 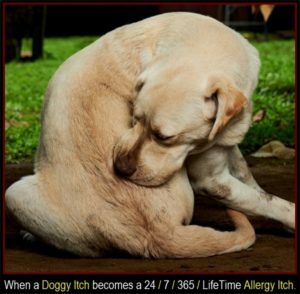 However, when Your look to the DVM Allergist / Dermatologist Research, You are find that only 4-5% of our Itchy Allergy Dogs have true Medically Defined Food Allergies. Still further, DVM Allergists indicate that the “Only” Scientific Method to confirm a Food Allergy is via a Time & Laborious “Food Elimination Diet” requiring multi months and arduous Ingredient Control. But “If” Your Animal is a Finicky Eater or has G.I. or Stool Issues, Healthy GOO believes that it may be possible that the Animal’s GUT-Biome is Out of Good Bug / Bad Bug Balance. In this case, the “Issues” that prompted the belief of FOOD Allergy may have been caused by past Antibiotic or Heavy Pharma Consumption. 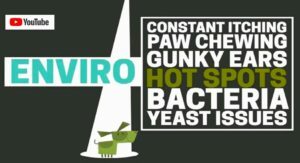 Responding to this Challenge, Healthy GOO has formulated GOO Gut Rescue, a Blend of Prebiotics and Probiotics, Colostrum and Food Extracts which have been DVM Formulated to “Rescue” Your Animal’s GUT-Biome from Bad Bug Dominance. Option #4) DVM Prescribed Anti-Itch Pharma. leaving Your Animal’s Allergy Disease / Fire Intact, only to Burn Brighter & Hotter as Time goes On. 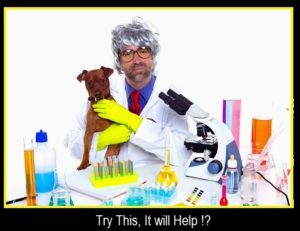 Anti-Itch Pharma can be viewed as a Viable Short-Term “Option”, to Lessen Allergy Anxiety and give the Animal the Quality of Life that they deserve. But only “Until” a Long Term “Solution” can be Initiated and begin to Work. Every day, Veterinarians see the Health and Behavioral ravages caused by a Pet’s Immune System being Out-of-Balance. Constant chewing on their feet, rubbing their face on carpet, scratching of the body, recurrent ear infections, hair loss, G.I. issues and mutilated skin are all symptoms of an immune system that is losing its battle against everyday Environment Sources such as Pollens, Dust Mites, Food Mites and Molds. 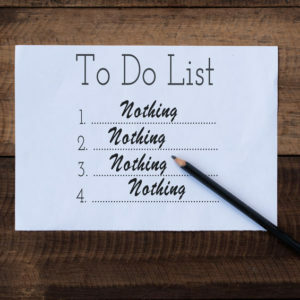 To make matters worse, these symptomatic behaviors often lead to a Slippery Slope of further and cumulative secondary health issues (i.e. Itching / Open Wounds / Infection because Immune System suppressed via Anti-Itch Meds ) which all adds up to a Sad Dog and a Sad Pet Parent. 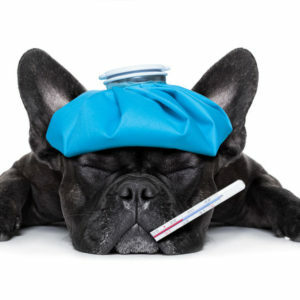 One of the most common causes of immune system imbalance, with the resulting symptoms, relates directly to the immune system’s “misdirected” immune response against sources in your pet’s environment that are really harmless. In essence, your pet’s immune system “Thinks” that these harmless sources are actually health attackers, and in turn attacks them with relentless ferocity. This misdirected immune response to a harmless source is called an Allergy. the scratching both lead to secondary infections, especially of the Ears and Skin. Dogs with Allergy Symptoms usually start to develop between one and three years of age. They may start as late as age 6 or 8, but over 80% start earlier. To make matters worse, as the animal ages, it usually develops allergies to additional things and the response to any one source becomes even more severe. · Providing Immunity with proper functioning of your Dog’s Antibody-Producing B Cells and the “Policing” T-Cells. Yes, Your Dog’s “Itch” is Fixed, > but do you Create Multi-Serious > Others ? Why not Stop Masking Canine Allergy Symptoms w/ Pharma, leaving Your Animal’s Allergy Fire Intact, only to Burn Brighter & Hotter. Target / Fight the Source of Enviro Allergy Disease from the Immune System Inside > Out ! Why not ReCaliberate Your Dog’s Allergy Mis-Wiring with a DVM Allergist Formulation. 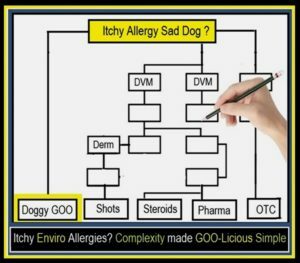 With the Doggy GOO Goal, that “External” Allergy Symptoms are increasingly Mitigated. (dare we say ) are No Longer Triggered. 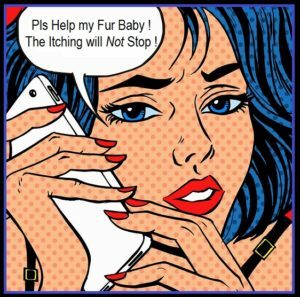 Stop Dancing around the Allergy Fire > Time to DVM Allergist Extinguish It ! Option #4) Doggy GOO = Your Clear Choice. 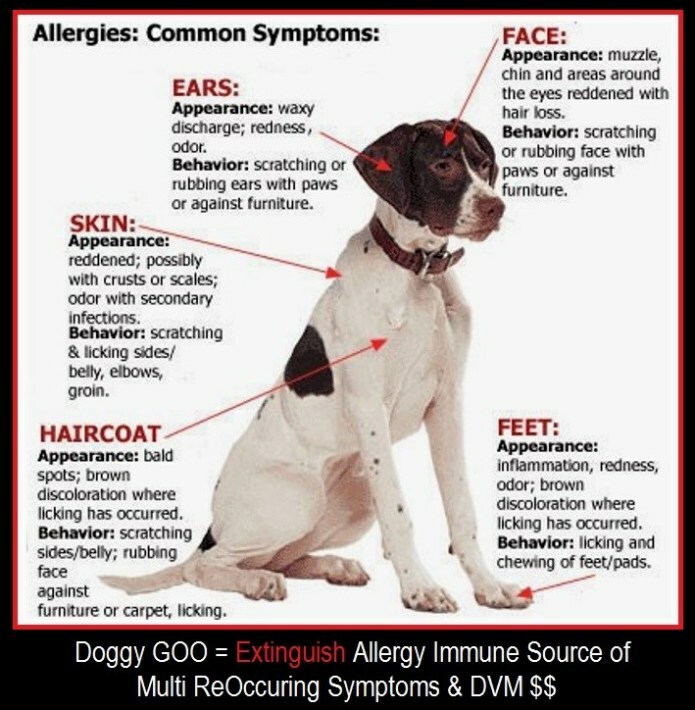 Is Your Constantly Itchy / Paw Chewing / Gunky Ear / Hot Spot Dog [Allergy] SAD ? 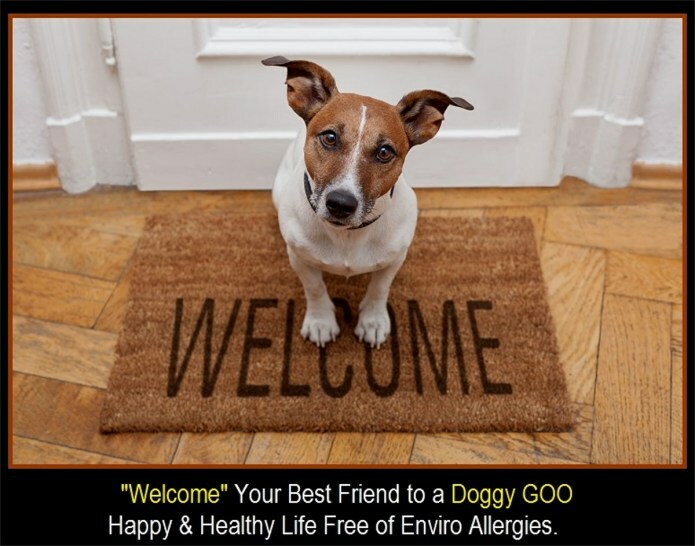 Doggy GOO makes the Serious Business of Fighting Itchy Enviro Allergies FUN ! GOO-Licious Peanut Butter Treat FUN for Your Dog. FUN for You to See them Healthy, Happy, and No More DVM Visits ! 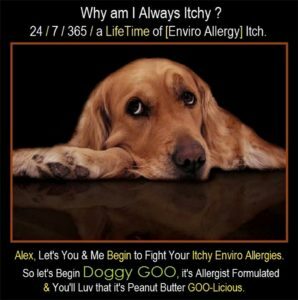 GOO-Licious Peanut Butter Doggy GOO builds heightened Immune System Tolerance to Pollens, Dust Mites & Molds > 100% Naturally. Your Veterinary Allergist / Dermatologist Formulated Allergy Care Option that Tastes like a Treat. Does Your Dog suffer from Itchy Allergies? 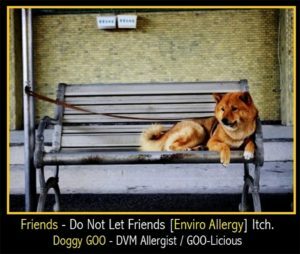 Doggy GOO ™ is the first and only 100% natural, Veterinary Dermatologist Formulated “Click & Order” Canine Allergy Product on Today’s Market. 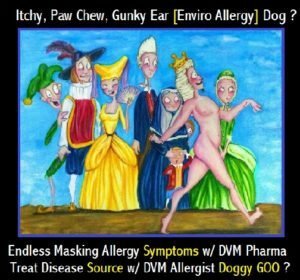 If your Dog suffers from the Itching, Biting, Gunky Ears or Hot Spots associated with Enviro Allergies, Stop Endless Masking of Symptoms with Pharma, while Your Animal’s Allergy Fire only Burns Brighter & Hotter with Everyday. May we suggest, Please give Doggy GOO ™ a Try. Itchy [Allergy] Sad Dog ? Your 3 Step > Solution ! 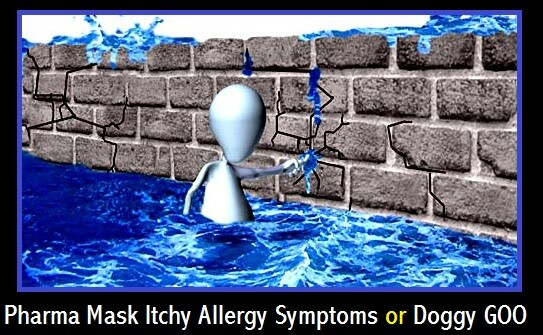 Your “Long Term” Solution = Target / Fight the “Source” of Allergy Disease from, Immune System InSide > Out ! [[> 3 STEPs to a Healthy & Happy Dog ! Perhaps Begin Your Dog on a ( Short Term ) Anti-Itch Pharma i.e. Apoquel or CytoPoint. But because it only Masks Symptoms is Your “Short Term “ Strategy … Until Your “Long Term” Solution can be put in place and Begin to be Immune Engaged. #3) DisContinue Pharma as Your Animal’s Allergy Status improves. 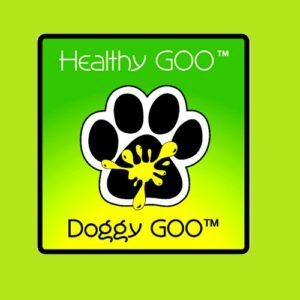 Continue Doggy GOO to keep Allergy Disease Controlled. Pet Parent Enviro Allergy Treatment Options for their Itchy Dog.
.  OTC = Helps “OutSide” Symptoms, but Does not Treat “Inside” Immune System Mis-Wiring.
.  DVM Pharma = Does Stop the Itch, But only Masks Symptoms requiring LifeTime Consumption, leaving Allergy Fire InTact, only to Burn Brighter / Hotter with EveryDay.
.  DVM Allergist Shots = Take Tooo Long and are Not Pet Friendly and Not Pet parent Time / $$ / Patience Friendly. 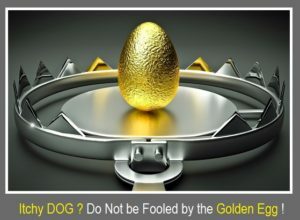 Step #3 > Doggy GOO = Most Viable and Effective Solution !
. Fights Immune “Source” of Allergy Disease from InSide > Out !
. Builds heightened Immune Tolerance to 15 Major Enviro Allergy Offenders.
. 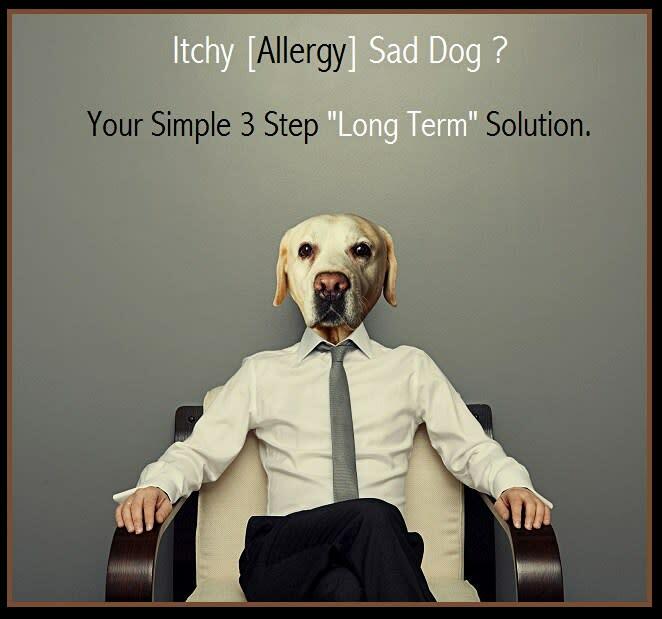 Targets “Allergy Driven” Symptoms of Paw Chewing / Gunky Infection Ears / Hot Spots / Yeast & Bacteria Skin Issues / Constant Itching.
.  Non-Prescription / Click & Order Delivery Convenience.
.  7+ Yr. Pet Parent / Real World Endorsed.
.  Doggy GOO “Stressed Phase” = Approx. 90 Days @ $2.00 / Day.